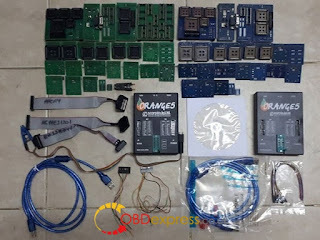 Orange 5 Programmer Original VS clone,Let’s check the PCB, adapters, capabilities, and reviews here. Original does not with CD, you can download it on official website scorpio-lk.com. 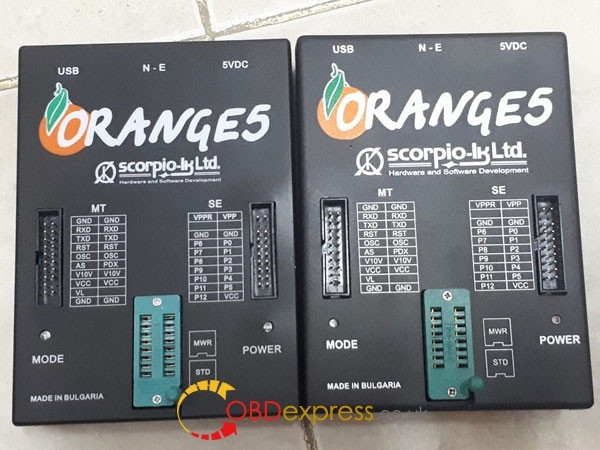 So, what’s the difference when using Orange 5 genuine and copy version? Read the reviews here. Customers talk the truth. Do not get confused by Orange pricing. Orange charge separately for the device, the immo software, the airbag software and the radio software, plus a few specials. 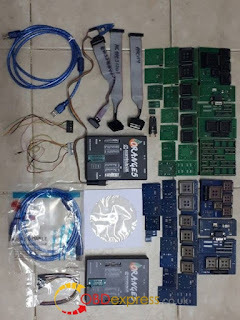 All this comes with the clone. To compare the two, you must add up all the costs from Orange. There is a very large saving if you buy the clone. But you cannot update it and you have no support from Scorpio. It will suit some people for sure. The adapters are poor quality, and for many the hardware does not work. No doubt as time goes by will will see huge threads about how to fix them. The company who makes it does not have a good reputation for quality or support. I do not regret buying original Orange5 and Tango key programmer. But when I did there were no clones available as an alternative. 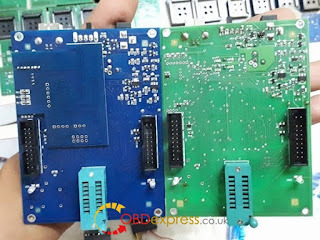 As for the Tango clone, it’s PCB and components are nothing like the original, and of a very poor quality. 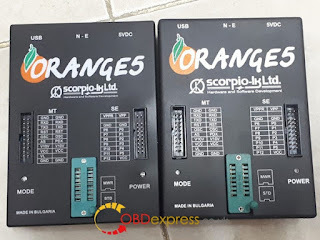 I have not seen inside an Orange5 clone yet. I buy Orange5 china clone. Work great. Now i check in hc05b8, hc11e9, end eproms. All read and write very fast. I have never had any problems with clone, everything works as it should, knock on wood. I don’t know is there any scripts but softwares for immo,radio and dash coming together with clone. On Hc908az60 secured it work’s good. I have 4 secured mcu, and they work ok. I have tried 68hc11, allot of eproms, and it work’s just perfect. I don’t have right now anithing else. I have clone and work perfect. I have Orange 5 clone and everything works perfect for now. OEM clone seem work good after report from some users. Just need rework solder points on Moto adapter. I am not aware of a clone Orange 5 yet. But if it says not updatable then it must be a clone. Original ones are sold by Chinese sellers as well. Prices can vary depending on the bundled software. i have this Orange5 clone and work everytime with him. not work car radio option.i think isn’t bad clone and not expansive. I think I like it so far. I have it for a long time and for now everything is working properly. One of the few clones that works well and works as an original. So far its reading and writing (with verify) all eeproms i try. Good tool so far. The main point orange 5 clone isn’t so bad as clones can be. Good investment for sure . I like PIN checking function (test insertions) very much .It saved my job a lot of time. 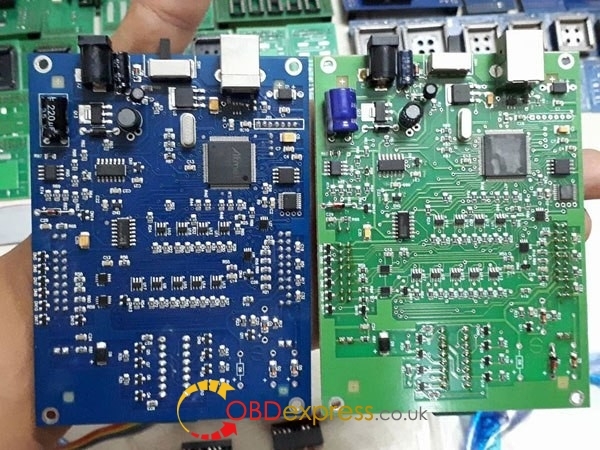 In combination with my UPA -S,CarProg,and mini pro TL866 a lot of job can be done successfully . Great programmer. All that is stated works. If the speed of exchange is not important, you can do a lot. Many good calculators.